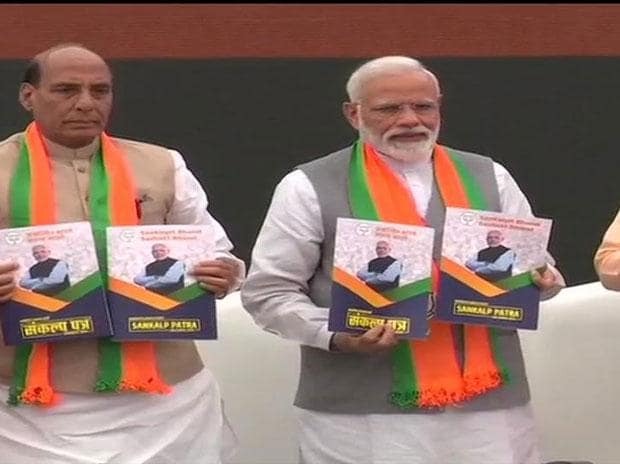 The Bharatiya Janata Party’s (BJP) manifestor Sankalp Patra is similar to the manifesto issued by the party five year ago containing several promises including abrogation of Article 370 of the Constitution, implementation of uniform civil code, construction of Ram temple. The nation had heard that the farmers would be stopped from committing suicides, but the number of suicides have increased manifold. The youth of the country were promised 10 crore jobs in the 2014 manifesto; instead the unemployment rate has become the highest in the last 45 years. The Sankalp Patra is completely silent on the draconian measure of demonetisation that took the lives of more than 100 innocent people. The people in the Valley have been alienated and terrorism, which the party had promised to root out, has increased not only in J&K, but in Chhattisgarh and the Northeast of the country. Briefly, while not enough has been promised for the next five years, there certainly is an attempt to sharpen communal polarisation in the country.